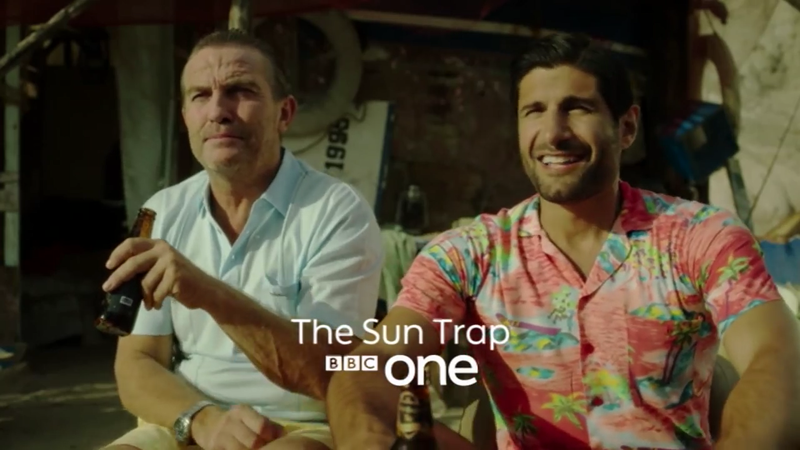 Coming to BBC One this May is a brand new Comedy The Sun Trap, starring BAFTA-winner Kayvan Novak (Four Lions, Fonejacker) and Bradley Walsh (Law & Order: UK). 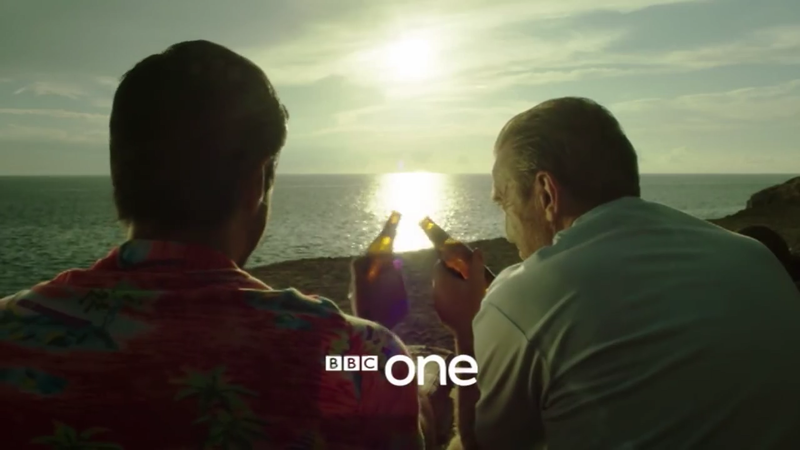 The series comprises of six half hour episodes. It has been created and written by Neil Webster and Charlie Skelton whose credits include Would I Lie To You, 10 O’Clock Live and C4 Comedy Presents: Them From That Thing. Produced by Neil Webster and directed by Ben Palmer (The Inbetweeners, The Inbetweeners Movie, Star Stories) for Happy Tramp Productions. Set on a fictional Spanish island, Kayvan Novak plays the role of Woody, an undercover reporter who is forced to flee from the British authorities after being framed by his corrupt newspaper editor. Woody goes on the run to find Brutus (Bradley Walsh), his former mentor at the newspaper and the one man he can trust. But Brutus, who is now an expatriate living a quiet life running a bar on a Spanish island, is less than thrilled to see Woody. Despite their efforts to lay low, trouble seems to find them, so Brutus and Woody end up joining forces to take on a series of investigations, crimes and mysteries, seeing Woody running rings around the locals by adopting a variety of guises at a moment’s notice. 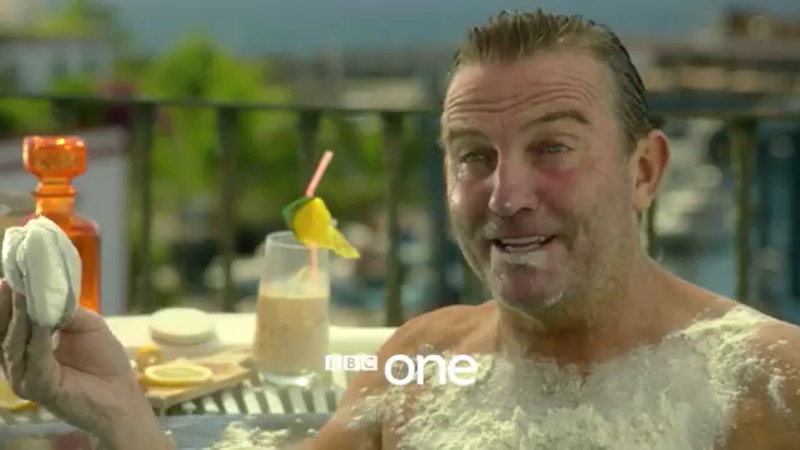 The new comedy is featured in the new BBC 2015 trailer and boasts an impressive cast, joining Kayvan and Bradley will be Emma Pierson (Up The Women, Hotel Babylon), Jamie Demetriou (The Midnight Beast, Scrotal Recall), Keith Allen (The Comic Strip, Robin Hood) and Alan Williams (Starlings). Plus cameo appearances from Lee Boardman (Great Night Out, Drop Dead Gorgeous), Clive Swift (Keeping Up Appearances), Alex Kirk (Mount Pleasant), Tracy Ann Oberman (EastEnders, Friday Night Dinner) Jack Dee (Lead Balloon), Kara Tointon (EastEnders), Simon Day (The Life Of Rock with Brian Pern, The Fast Show), Cavan Clerkin (Pulling, The Inbetweeners), Paul Kaye (Game Of Thrones), Sean Gilder (Shameless) and Morgana Robinson (House Of Fools, The Morgana Show). 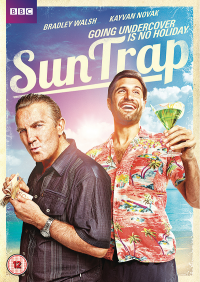 The complete series one of Sun Trap. Woody (Kayvan Novak) is a master of disguise--the world’s number one undercover reporter. But when his corrupt editor blows his cover, he’s forced on the run. 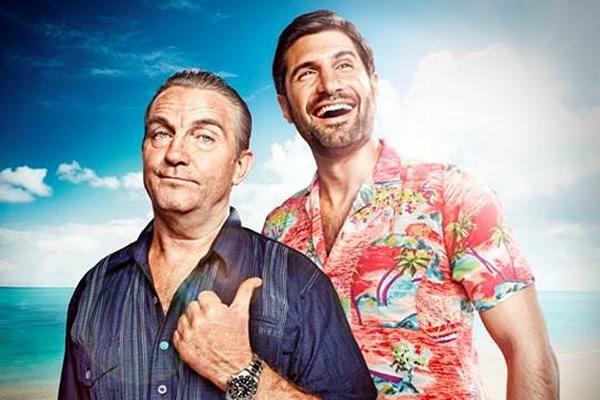 The only problem is that charming motormouth Woody has trouble staying out of the spotlight… With nowhere else to turn, Woody escapes to find his former mentor Brutus (Bradley Walsh), an expat now running a bar on a sunny Spanish island. Initially less than thrilled to see his trouble-making protégé, Brutus soon realizes he can profit by putting Woody to work on a series of investigations. Adopting a dizzying range of larger-than-life personas, Woody runs rings around the locals whether its tracking down a parrot with a valuable secret, or taking on a hypnotist with a vendetta no challenge is too bizarre with Woody and Brutus leaving a trail of mayhem in their wake.